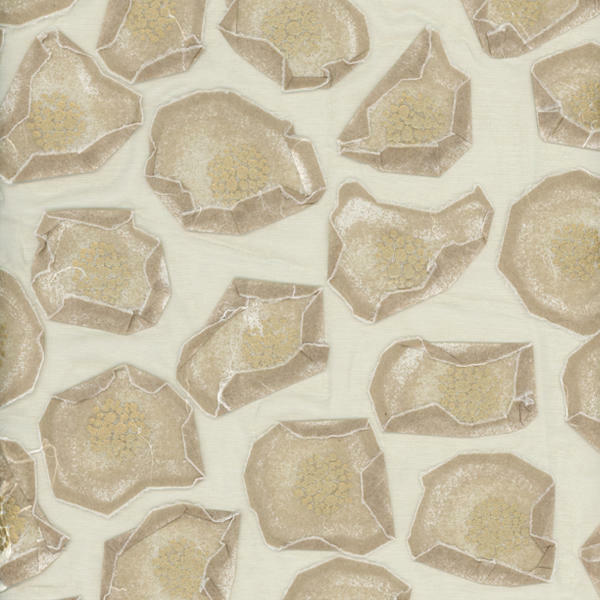 A hand-made sheer using printed paper which is appliquéd onto a transparent voile. In this delicate natural colourway, the design recalls gentle flowers with gold dots sprinkled in the centre like seeds. As a curtain, which lets in beams of sunshine, this stunningly whimsical fabric will attract you like a bee to sweet nectar.